Not-for-profit freebies: your resource for branding smarter on a tight budget. Are you using promotional products as part of your nonprofit organizations’ marketing plan? If not, you are missing out on one of the most widely used and popular ways to brand your organization. Nonprofit organizations such as yours have been taking advantage of promotional items for decades and gained a ton of exposure as a result. When it comes to nonprofit promotional ideas, using branded items such as apparel or writing instruments can help boost exposure. People will remember you when it comes time to donate and it also shows your organization is different than all the others. People will feel more of a connection to you when they receive a personalized item. 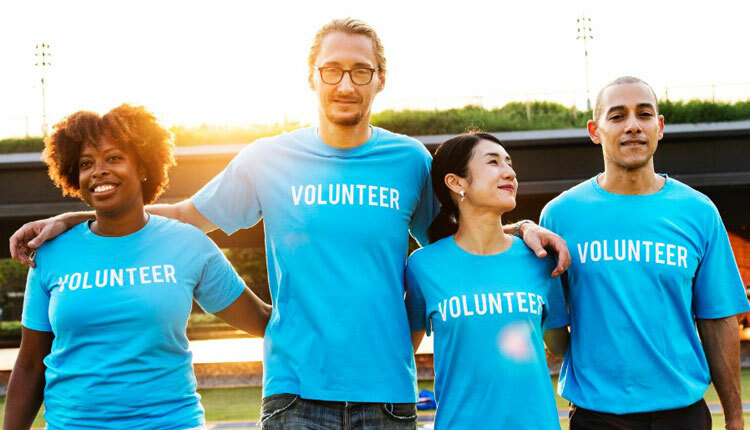 If you have yet to decide if nonprofit promotional products are right for your organization, let’s take a look at a few reasons why you should consider. There are a number of reasons why you should consider using nonprofit promotional products. Here are some of the most common (and convincing). Promotional products can create diversity. As an organization, you may fall into a rut by where people see you as boring and commonplace. Using items customized with your logo or slogan can break that trend. People will start to see you as outgoing and caring. When it comes to getting funding, you will want to be the one who people remember. It is also an inexpensive way to brand your organization. The cost for using a nonprofit promotional product versus things like pay-per-click or other forms of marketing is more than noticeable. Many items cost less than 1/10th of a penny per brand impression. When it comes time for people to contribute to a nonprofit, you will want them to remember you specifically. Promotional items are one of the best ways to do this. “There’s a higher likelihood customers will do business with a company if they receive a promotional product,” according to the Advertising Specialty Institute. For you this means that people are likely to remember you over others who are not using nonprofit promotional items. Now that you know the benefits associated with this type of nonprofit promotional idea, let’s take a look at the seven most popular products used by nonprofits to brand themselves. Note that these items are not necessarily in order of most popular. Customized promotional tote bags are one of the most widely used promotional item for nonprofits. They can be used for giveaways, trade shows, and every day items used by your organization. They come in many different styles including with zippers or Velcro, extra pockets, adjustable straps, and numerous other configurations. According to ASI, bags get an average of 3,300 impressions throughout their life. Also, 61% of bags are regifted after the original recipient is done with them. So, you wind up getting lasting impressions instead of an item that is disposed of after its initial use. Branded apparel has always been one of the top nonprofit promotional items, especially custom t-shirts. Personalized t-shirts make up $3 billion worth of sales yearly, making them the most popular branded apparel item. Apparel is also an item that people feel a connection with as a recipient. People are more likely to wear your branded item which will help make you known in the public eye. People wear these items with pride which also brings credibility to you and your cause. While t-shirts may be the most popular, any type of branded apparel works just as good. When you take into account the number of styling options among polo shirts, sweatshirts, and outerwear, branded apparel gives you unlimited options for your nonprofit organization. Custom PopSockets are becoming a very popular item. A PopSocket is an expandable grip that attaches to the rear of your cellphone and makes it easier to hold. People look at their phones an average of 46 times each day. With your nonprofit organization on branded PopSockets, it will be your face they see when they check their messages or play Candy Crush. Custom PopSockets come in a variety of different styles. They are made from different materials including plastic, rubber, wood, and metal. Buy wholesale PopSockets in bulk and get a huge discount. Stock up for all of your marketing events including charity functions and trade shows. Still one of the most popular nonprofit promotional items is the USB flash drive. According to the Atlantic, “[USB flash drives] have become inescapable elements of the contemporary technological landscape.” They are everywhere and according to ASI are owned by more than 58% of consumers in the Untied States. Flash drives have also come a long way over the years. You can not only choose from traditional custom USB flash drives, but also from pens that double as flash drives, and business card flash drives. The outer shells come in plastic, metal or wood and in a variety of different colors. You can even get them in various shapes like shoes, cars, and Legos. Calendars are also widely used by nonprofits. They are inexpensive and can be customized with your organization’s logo and overall message. Put important dates on the calendars for people to remember such as fundraisers and other events. Some interesting facts about promotional calendars is that 52% of them are kept for at least one year. They also attribute 850 brand impressions for your organization which results in an approximate cost of 3/10th of a penny per impression. More than 89% of consumers in the United States own a branded writing implement. This means that they have already been marketed to by an organization and they are in possession of that marketing. Why not make it your organization that’s in the hands of those 89%? An even more staggering number is that 20% of consumers own more than 10 promotional writing instruments. Writing instruments cost even less than customized calendars. A pen will generate roughly 3,000 brand impressions which translates into an approximate cost of 1/10th of a penny. A great idea for any nonprofit is to fill its office with personalized pens that can be given out to visitors. Pens come in various casing including metal and plastic. You can also purchase them individually or in boxed sets to give away as gifts to donors. We also have customized highlighters, pencils, and combination sets so that you are not limited to just pens. Last but not least is custom drinkware. Always popular, items such as coffee mugs and tumblers are great nonprofit promotional products. Mugs are one of the longest kept promotional items and are popular with Baby Boomers and Generation Xers. They generate an average of 1,400 impressions during their lifetime. Using promotional items as part of your marketing campaign is one of the best nonprofit promotional ideas ever devised. The cost is minuscule compared to other forms of marketing and can help people remember you. It also helps to show your organization isn’t complacent and that it cares about its supporters. While the above seven ideas may be the most popular, there are thousands of other nonprofit promotional items you can choose from. For instance, if you are having a golf outing to raise money for your organization, we have a whole line of products that will make the event perfect. Give us a call and let us know about your campaign and budget and we can brainstorm with you for the perfect item to use. If you still aren’t sure if nonprofit promotional items will work for you, check out our swag under $1 where you can get great items to try out.